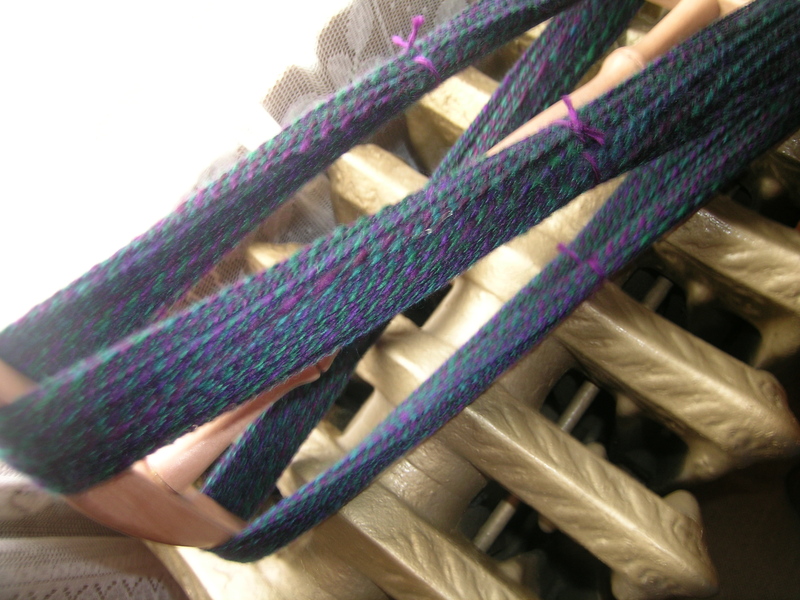 I have spun up 1/2 of the green and purple roving from Fiber Optics. 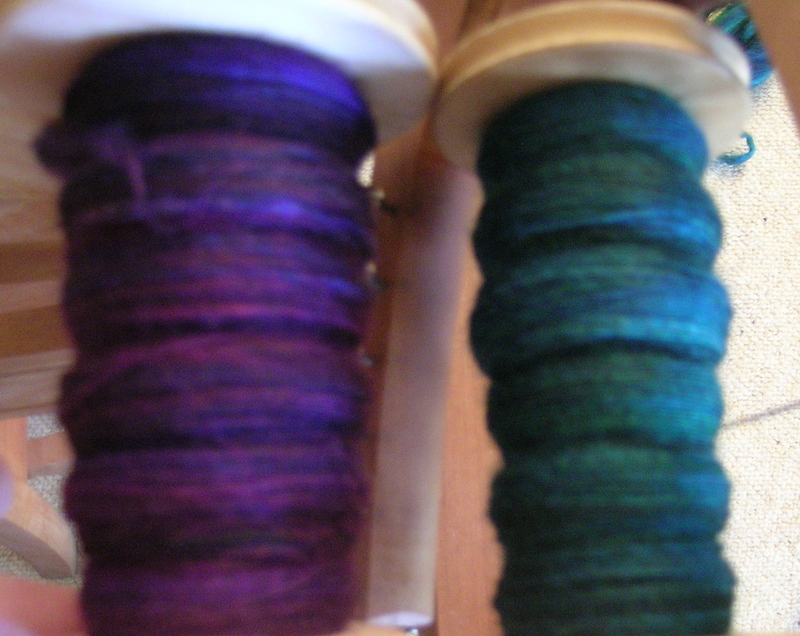 I originally had purchased these to ply together. They were so incredibly beautiful as singles that I was starting to question that plan. Purple and green are my favorite colors, and I normally love them together. 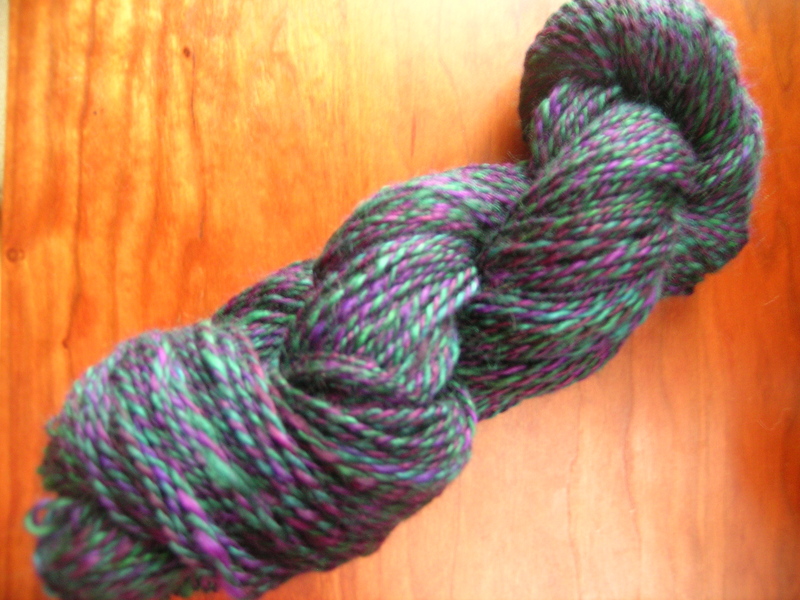 316 yards with 4 ounces of roving. My best yardage yet. 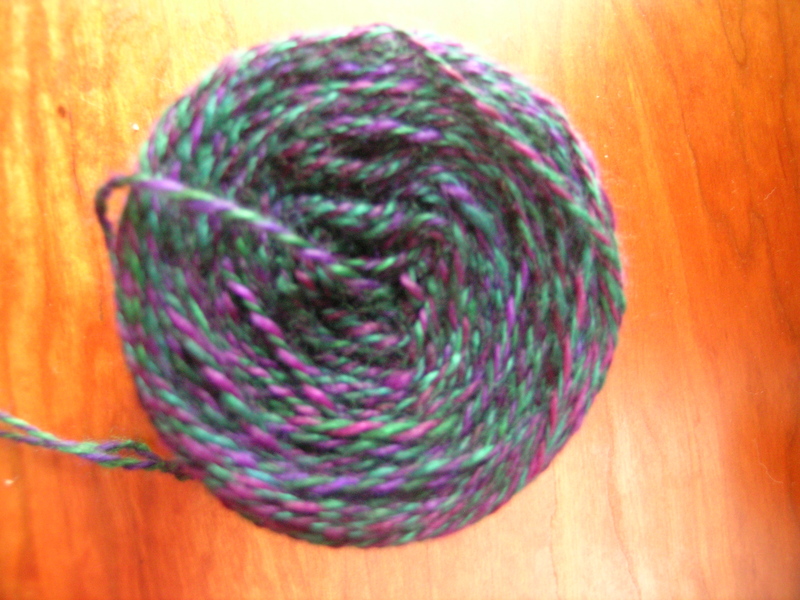 Still questioning my judgement, I wound the skein into a center pull ball. 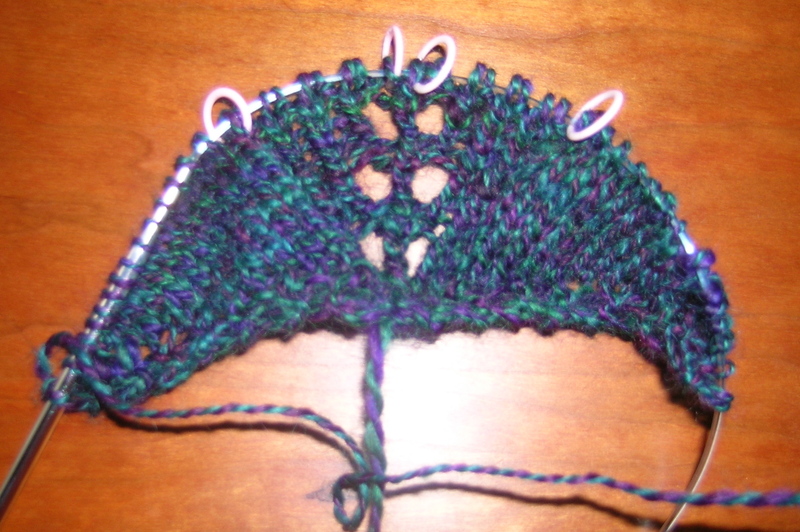 And, I decided to start knitting this up right away. I chose the pattern Herbivore. My friend Mimi has been working on this, and I thought it would be a good size to utilize my handspun yarn. It is knitting up very soft. I am liking it more as it progresses. 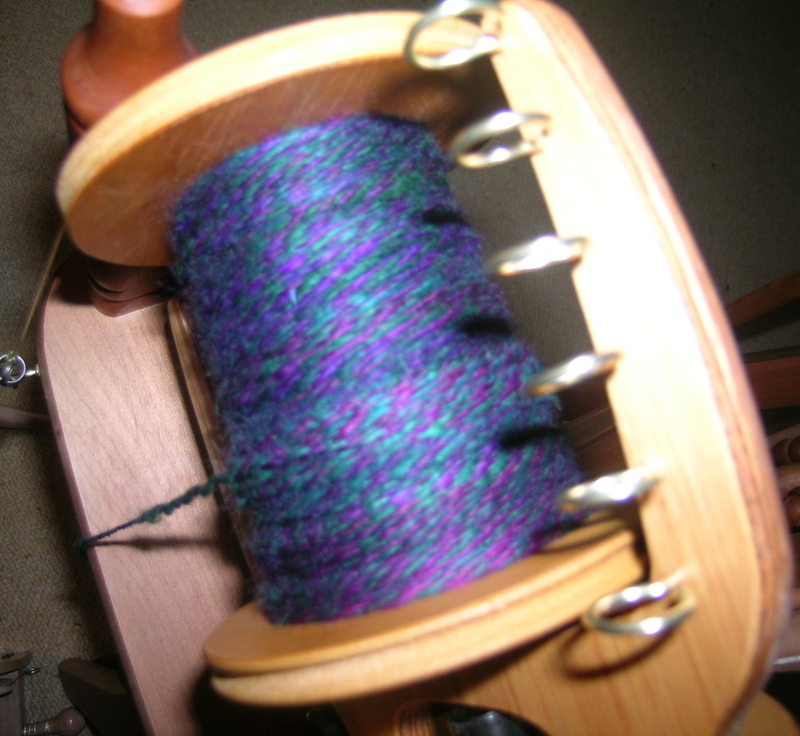 Lovely spinning! Herbicide will show this yarn off to good advantage. Darn you, auto-correct! I meant Herbivore not Herbicide!